This production opened on November 11, 2011 and closed on November 20, 2011. 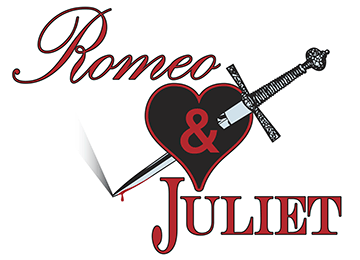 Shakespeare’s classic tale of romance gone tragically wrong has been given a thorough but respectful adaptation for this production, rendering the Bard’s philosophical musings, witty repartee, passionate poetry and bawdy humor fresh and accessible for a modern audience. 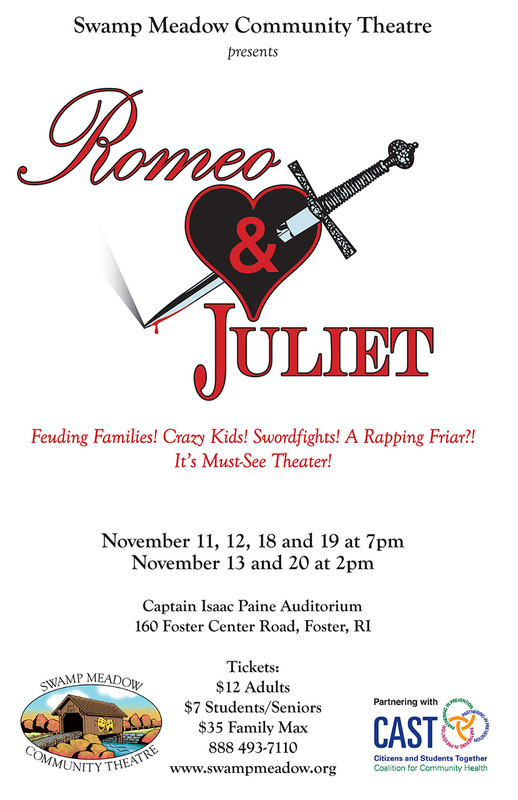 Romeo and Juliet were played by Zach Gibb and Julie Cox. The Capulets and Montagues were played by Dale Miller and Laura Gibb, Gary Pickard and Amy Juker, along with Jake Wolf-Jensen, Brian Wolf-Jensen and Amanda Betchy. They had the ear and support of their confidants and attendants: Judy Kerkoff, Andy Affleck, Alex Cerullo, Katie Lewis, Jake Farnum, Jon Howe, and Sarina Resnik. The Town of Verona was brought to life by Meryn Flynn, Zach Farnum, Janice Dionne, Chase Lurgio, Dacia Cruz, Emily Carter, Sandy Arnold, and Julia Arnold. Providing narration and commentary on all the comings and goings was the one-person Chorus, Leah Fidler. All of them were under the direction of Chris Brostrup-Jensen with the assistance of Fight Choreographer Frank Perrin and Dance Choreographer Annette Hebard. Performances took place on November 11, 12, 13 and 18, 19, 20 of the year 2011.